On 13th May 1933 a motor race meeting was held at Donington Park for just the second time, the 2.25 mile circuit’s inaugural meeting having taken place on 25th March that year. Here car no. 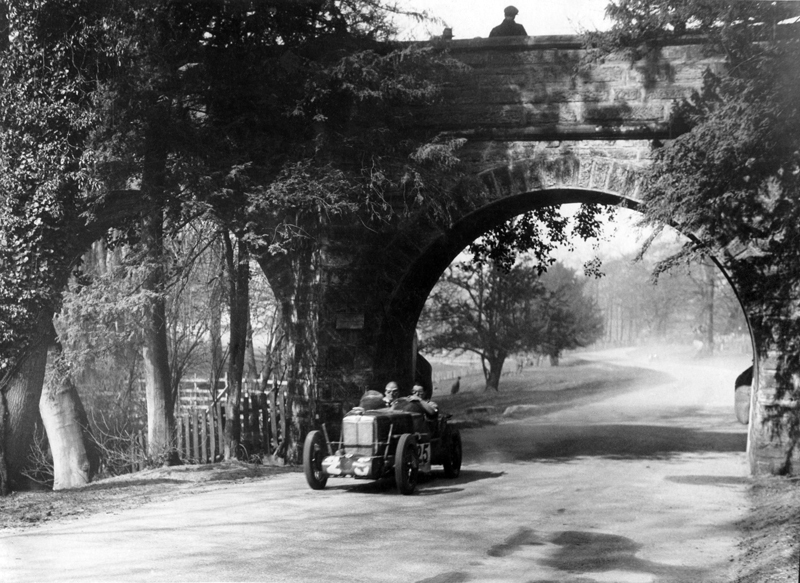 25, Eric Hall’s MG C Type Midget passes under a narrow ornamental bridge at one of the circuits ‘no passing sections’. Mr. Hall went on to win two of the seven events to be held that day, in front of an audience reported by Motor Sport to be in the region of 10,000 souls. Photo courtesy of Motorsport Images – source LAT archive.